"A Funny Thing You Said" opens with a sad accordion and saxophone that is on the cusp of sounding like it is playing soft jazz. Under every single other situation those first few seconds would be enough for me to turn off the song and never listen to whatever band produced it. 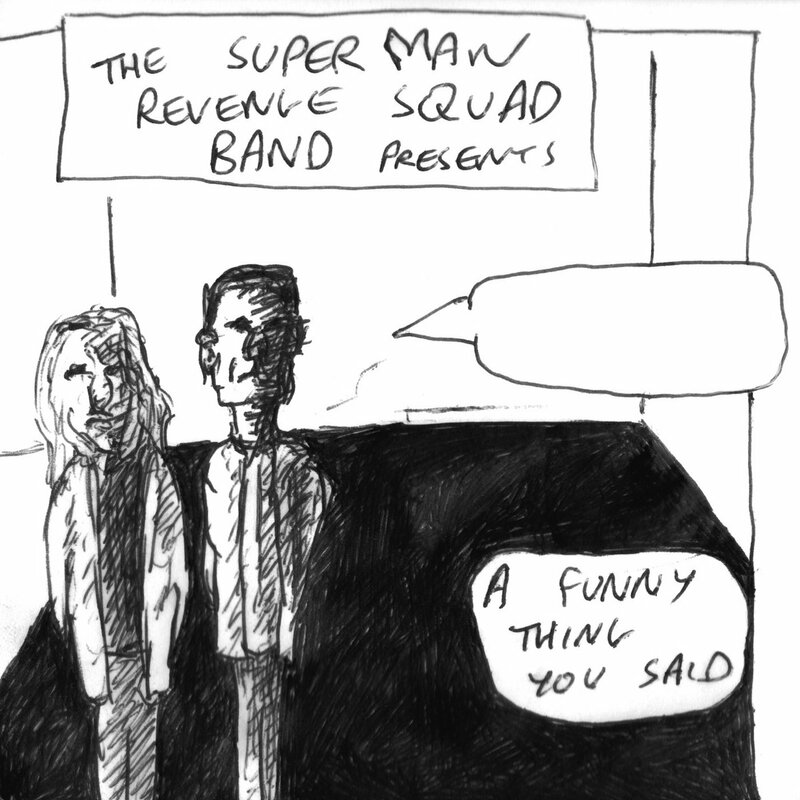 However, this is Ben Parker and Superman Revenge Squad, and if there's one person who can use those instruments to communicate something, emotionally arresting at that, it's him. Billed here as "The Superman Revenge Squad Band", "A Funny Thing You Said" is not a deeply devastating song delivered by Parker, his acoustic guitar, and incredible lyrical manipulation, but all that and enhancements from the aforementioned accordion and sax, but superb drumming courtesy of Ben's brother Alex Parker (anyone who heard them when they were making music as Nosferatu D2 know the fury Alex is capable off). The result of all this being a Superman Revenge Squad song with a massive amount of kinetic force behind it. Not to say that Superman Revenge Squad songs of the past were just quiet, slowly plucked affairs, but here, the Ben Parker's reflections have a true sense of urgency, as if the realizations of life not coming out the way he wanted it to and his friends distressing feelings on how everything turned out are rushing over him all at once. For the first time in a while the lyrics lack the same sense of assurance that Ben Parker usually communicates about his despair, and that lack of grounding is what makes "A Funny Thing You Said" complete. It's a song built around a nervous sense of dread, and everything from the instruments to the words communicates that in full.